The title of being MVP is an extremely coveted position. It is the goal for each and every player who steps into the NBA and also any basketball player ever to play basketball in general. This season, there has been much speculation as to who will be the MVP and we all have some obvious favorites such as LeBron James for the Lakers, Kevin Durant and Stephen Curry for the Golden State Warriors or James Harden for the Houston Rockets. But as time passes on there is a new generation of players that are emerging. This new generation may not have MVPs of their own yet, but many of them have shown potential to break records that have stayed up for years on year. Most of all there are so many players that will be big names in the draft next year that are under 20 and will come straight from college. It is a generation that is not to be underestimated. These players will be the heart and soul of the conversation of the NBA for decades to come. Here are three that could come in from the back and make their way to the coveted position of MVP. 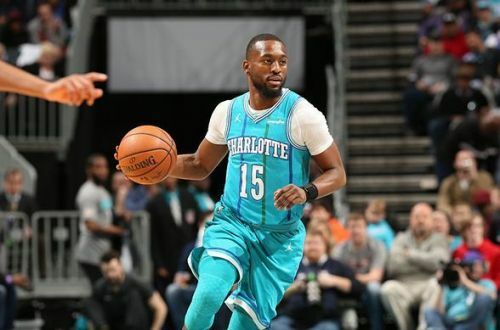 Kemba Walker has chosen this season to be resurrected into the person and player he was when he left UConn. The first few seasons after he was drafted he was a solid point guard, but he really didn't step up to the mark. Fans, now satisfied with his performance recognize him and his efforts towards the team widely. This season Walker is in his college zone averaging 26 points per game and his shooting percentages are at the highest that they have ever been at. Further, he has come close to breaking many things to break the rule. Now as a point guard he has some heavy competition from the likes of Kyrie Irving, Steph Curry, and Russell Westbrook. The popular vote will always land in the favor of these big names, but this is the season for Walker to make a name right with his game as his only weapon and he is buzzing along on that road.